This mat has removable strips of tape on each edge of the mat that adheres to the page in the photo album. Place the mat on a clean, flat surface. Line up the digital print on the back of the mat and tape it down with scotch tape. Then remove the strips of tape on the back of the mat. Next, flip the mat over so the surface is facing up. Place it "loosely" on the photo albums page. Line the mat up with the edges of the page. Once it is lined up correctly and satisfactory, press it firmly down along the edges of the mat. 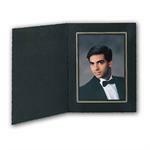 This will permanently adhere the mat to the photo albums page. Continue this procedure until the book is complete. 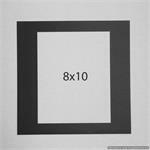 Ambiance 10x10 photo mats; linen textured; self-adhesive mats; Sold Individually or in Packages of 5. 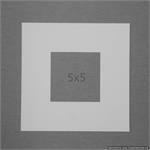 Ambiance 8x8 medium sized mats; linen textured surface; sold individually or in packs of 5.